euroCARE IVF offers intended parents advanced diagnostic testing and state-of-the-art infertility treatment. 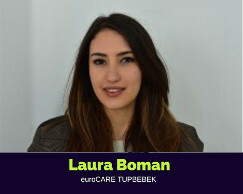 Based in North Cyprus, the euroCARE team emphasizes quality of treatment combined with caring relationships. We offer all advanced reproductive technologies such as in vitro fertilization (IVF), intracytoplasmic sperm injection (ICSI), cryopreservation, and preimplantation genetic diagnosis (PGD). Dr. Armagan Ulubaş was born in 1962 in Ankara. In 1986, with great pride he graduated from Kayseri Erciyes University Medical School. In 1997, after completing his Obstetrics and Gynecology residency at Izmir Ataturk Hospital, Tel-Aviv University in Israel, he received training in one of the leading IVF clinics in Europe. Born in 1988 in Zonguldak. KEVSER graduated from Erciyes University Faculty of Science and Letters Department of Biology. In 2011, after working in an embryology and andrology laboratory for 5 years in a private center in Istanbul, KEVSER worked as a laboratory responsible in Cyprus. In 2014, the publication ım Frequency of embryo multinucleation impact was published. KEVSER participated in events such as International Experned Congress, Congress of Embryology Congress, Cryopreservation Course-Cryotech. Born in 1985 in Izmir, GÜLŞAH received her Bachelor of Science degree in Biology from Ege University and a Master’s Degree in Histology-Embryology Department from Dokuz Eylul University Institute of Health Sciences. GÜLŞAH managed the laboratory staff in Ankara and started working in an embryology and andrology laboratory in a special IVF center in Izmir in 2013. In 2017, she was in charge of embryology laboratory in a private hospital in Kosovo. GÜLŞAH is a member of TSRM Reproductive Health and Clinical Embryology Association. After graduating from the School of Nursing at 19 Mayıs University, she worked in various governmental institutions for about 15 years. In the past 10 years, she has been the coordinator of respected IVF centers in Istanbul/Turkey. Her ultimate goal is the successful completion of your treatment at euroCare IVF Center. At the most prominent fertility clinic in Cyprus, expert IVF specialists are available to provide you with the highest-quality fertility care for the journey ahead. Clinical Director, Recep, holds more than 10 years experience in fertility and assisted reproduction. He wholeheartedly understands that fertility treatment is an intensive process that requires sensitivity and an understanding of the physical and emotional aspects of every patient’s journey. 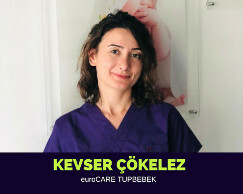 As euroCARE’s IVF nurse Coordinator, Ayse makes sure that each patient receives all the information and treatment they need to have a smooth and pleasant experience in Cyprus. Nazli will guide you every step of the IVF treatment process. With extensive IVF experience, she will help to make your journey to parenthood as perfect as can be. 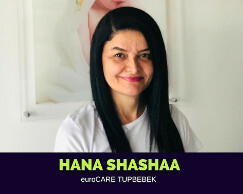 Hana is responsible for our Arabic speaking patients and works closely with each patient to determine the best course of action for IVF in Cyprus. Hana takes great pride in providing friendly, caring and efficient coordinator services at our fertility clinic. Here at euroCARE IVF, we have formed an exceptional team to make the process easier on our IVF Cyprus patients. In our continuing effort to provide the highest quality of personalized care at our fertility clinic, Laura is responsible for our French speaking patients. 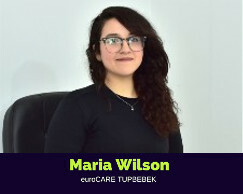 Maria is responsible for our French speaking patients and works closely with each patient to transform their IVF Cyprus treatment into a comfortable holiday and successful IVF journey. She is available to help our patients from start to finish. Fatoş is aware of the importance on hygiene and does her best to make you feel comfortable and at home. She provides basic office support to the company. GÜLŞEN helps attend to the daily office routine and cleaning of the clinic. 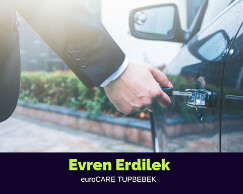 As part of the euroCARE family, Evren has transferred patients from the airport to the hotel to the clinic. The euroCARE Family is on your side with a professional team to make your journey through traffic peaceful, stress-free and enjoyable!